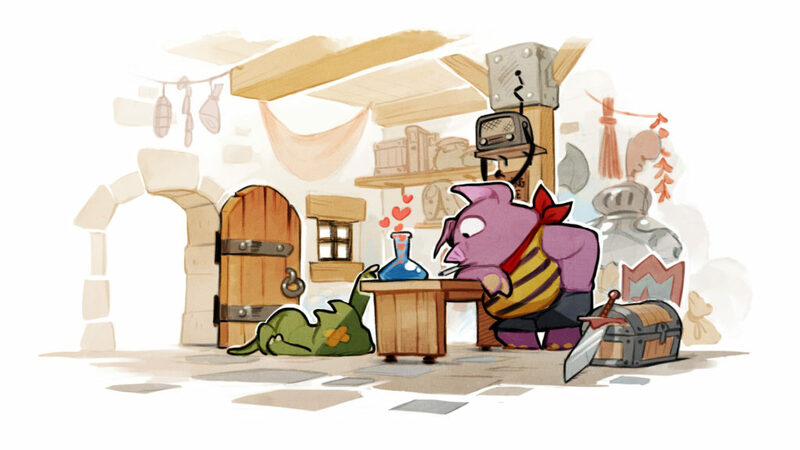 The Wonder Boy: Dragon’s Trap announcement really came to a surprise to many in the video game industry. For one, we already were excited for the upcoming Monster Boy and the Cursed Kingdom from Game Atelier, and the thought of having two Wonder Boy-related games was almost too much to believe. But here we are, and now that we’ve had some time to let LizardCube’s announcement settle into our brains, we can’t wait to finally get both games into our hands. But since Wonder Boy: Dragon’s Trap is still a ways off, we decided it’d be good to chat with developers, Omar and Ben, from LizardCube, and Cyrille from DotEmu (the game’s publisher) to get some more information about their upcoming remake/remaster/retelling of the cult classic action-adventure game. SEGA Nerds: The announcement that you’re developing Wonder Boy: Dragon’s Trap came as a big surprise. Can you go into detail on how the game came to be and how long you’ve been working on it behind the scenes? Around 2013 I thought about digging into the game internals to figure out if there was any unknown secret doors that no one had found, which led me to start doing some data reverse engineering here and there. I had other projects in the work so it didn’t led very far, but in October 2013 I contacted Ben (who I had worked with on Soul Bubbles) and suggested we could make this project happen. I knew he also had a sweet spot for this game and the Master System. He himself was looking into doing something with Alex Kidd for the fun of it. So late 2013, we started doing some research on our spare time and it slowly evolved into something a more concrete. We’ve even started working on music with Michael Geyre from late 2014. The project slowly grew as we were all doing other things simultaneously, but by mid 2015 we started pitching it to publisher and we started our company to go full-time by the end of 2015. SEGA Nerds: Are you both fans of the series? Can you talk about your experience and memories of the games throughout the years? Omar: We all played the game as kids and scribbled our manuals with passwords! I’ve played it in 1989 on the Master System of course. I recall playing it my brother and for some reason stuck forever at the Dragon Captain boss. It took us a very long time to finish it.. that game really stuck in our minds, so did the music. And of course I’ve done Monster World on the Mega Drive, I recall the final boss was harder in the European version, which is unusual are games were often harder in their Japanese version. It’s only later around 1996 that I got introduced more seriously to Monster Land and Monster World 4. Monster Land actually became my favorite for a while to the point where I went and purchased the arcade board for it. I played so much I could 1-coin clear it in Hard mode at some point. I contacted Mr Shinichi Sakamoto around 1996 because I was a fan of the series. I remember he was interested in road maps, and I sent him a bunch of maps from France (I thought that was odd!). To thank me he sent me a copy of Monster World 4 wrapped in a nice MW4 themed gift-wrap with a custom sticker. I kept every bit of it religiously, down to the envelop. Ben: I grew up in the countryside and we didn’t have access to lots of games at the time. Me and my brother saved most of our allowance to buy the Master System. Wonder Boy in Monster Land was one of the first games that was available to us and it really stuck with me. Later, I used to borrow Wonder Boy III from a friend of mine and I spent countless hours playing both of them. I used to draw the characters on my school books. It’s definitely a dream come true to be able to bring back those characters alive. SEGA Nerds: What is it about the Wonder Boy series and formula that you think will still resonate with gamers today? Cyrille: A good game will always be a good game. It’s not a question of graphics or technology, it’s about the overall experience and fun. 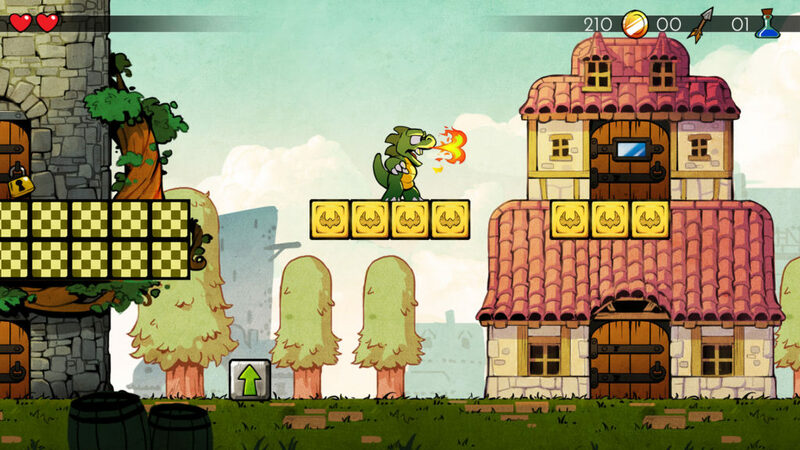 Wonder Boy III: The Dragon’s Trap is a game that amazed so many players back in the days. It is well designed, immersive, challenging and a lot of fun. The exploration, the secrets, the delicious soundtrack.. It’s one of the earliest great “Metroidvania”-style game! Whereas the Nintendo kids have Zelda and Metroid, whose lineage is still being expanded, the Wonder Boy series which was equally awesome didn’t.. so we set to fix that! Gamers of today have different expectations and experiences about gaming but it all comes down to the same thing, whatever the generation: having fun (and blocking fireballs with a little shield)! 4) It was also revealed that Ryuichi Nishizawa has given his blessing on the game. Can you talk about how that came to be and what your interaction with him has been like? Omar: He was lovely and supportive from the beginning! 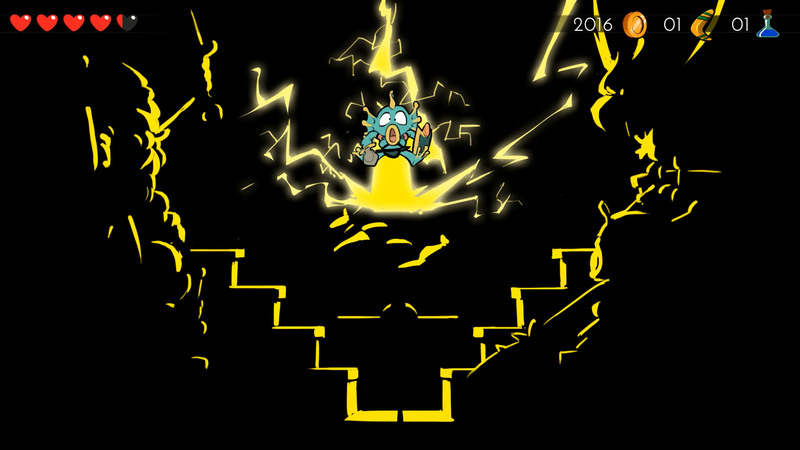 As early as 2013 we contacted him, very casually, stating our intent to work on this game. He was kind but I think at that point he didn’t think we were really serious about it! SEGA Nerds: On your website, you talk about how your team and DotEmu have had to do a lot of work uncovering old documents related to the game. Can you go into more detail on that? Omar: DotEmu would have to fill the blanks here! When we choose DotEmu as our publisher we knew they had experience with dealing with that kind of license and from that point they handled the negotiation with LAT and SEGA. The situation is unfortunately a little too complex to sum up, and more complex that what people are discussing on the internet. The exact details are still confidential but I am sure we will be able to explain more in the future. SEGA Nerds: Along with the announcement of the game, you also announced that DotEmu is publishing the game. What’s your relationship with them been like up to this point and how have they helped your team throughout the developmental process? Omar: DotEmu doing the publishing first mean that we can concentrate on developing the game! They helped with clearing out the legal issues and also reach to platform holders, organize QA, help with marketing etc. They are also funding the development, which mean they put 100% of their trust in us and this project, which is a lucky situation to be in. It is nice to work with people who are enthusiastic about retro games and “get” what we wanted to do with this game. If we were to head straight to a normal publisher saying “Hey, we want to revive this forgotten license and hand draw ten thousands of animation frames,” most would have laughed at us! SEGA Nerds: Are you calling this an HD remake or a remastering of the original Dragon’s Trap? Omar: We don’t know! No, I mean, seriously. We are working on the game but we haven’t yet figured out its scope and whatever term would be a best fit. As you can notice on the video, the game will feel pretty close to the original. For us this is the number 1 thing that matters. We don’t want to put out a new version where the charm of the original is lost in translation. So we are working very hard to get the details rights. SEGA Nerds: Will there be any new features or content in the game, or will it be a direct HD remastering of the original? Omar: New features? Maybe! Too early too tell! SEGA Nerds: For fans of Sakamoto’s original soundtrack, what can they expect from the re-imagined version that will be in the remastering? Omar: We started working a long time ago with Michael Geyre on this soundtrack. I met Michael a long time ago because of a shared love of retro games. He is classically trained musician but couldn’t conform and ended up spending time learning about jazz and music genres from many countries of the world. He often goes and travel somewhere to learn about the music of a country. He is a “live” person, played in many bands, but also worked in studios on dozen of records and short films. And as mentioned he is as much as retro game nerd as we are.. Perhaps more: his house is full of old console games and arcade cabinets. He is also such a fan of the original Wonder Boy III (his house WiFi is guarded by a password from the game from when he first cleared it in 1989). We wanted to have a soundtrack that felt elegant, honest and very real, not something overly produced with computers and digital instruments. So we are working with dozens of musicians and instruments to try to nail the style we want.. The soundtrack will be very varied. I hope it will surprise the players the same way the visuals did. We made literally hundred of track demos and still are working on it so it is too early for us to release any of it. In fact, the music in the trailer isn’t part of the game soundtrack: it was created especially just for this video by Romain Gauthier. Romain will also be doing the sound design, sound effects and environmental audio for this game. SEGA Nerds: This is an exciting time for Wonder Boy fans as they’re getting Dragon’s Trap and also Monster Boy. Has your team had any contact with Game Atelier regarding their game? 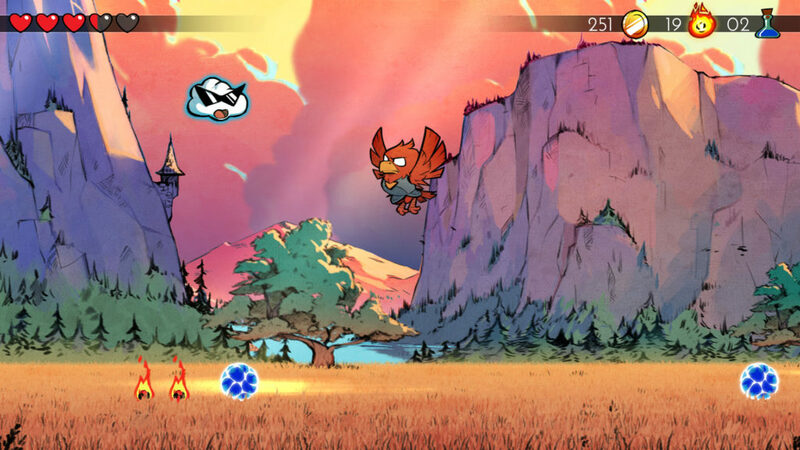 What do you think of what you’ve seen from Monster Boy so far? Omar: Yeah, we know Game Atelier very well. In fact, their lead programmer David Bellanco was at school with me. I used to bring my Monster Land arcade setup to play there and we sometimes played together. I would like to think that perhaps this inspired him to start Monster Boy ;). We kept in touch but both of us started our respective projects around the same time without telling each others. In fact, it was quite a shock for us to see the Flying Hamster 2 Kickstarter as we were working on our own prototype! SEGA Nerds: The game isn’t set to release until next year, so we understand the game is still fairly early in development, but do you have any idea when you’ll be announcing which specific consoles the game will be released on? Truth is, we are still figuring out details about the platforms we want to have the game on. Part of this involve talking to platform holders and figure out which would make more sense to reach players. But the intent right now is to put out Consoles/PC releases and we will clarify it as soon as we know better. Stay tuned for news at usual locations, TheDragonsTrap.com, Facebook, Twitter, etc. SEGA Nerds: From what we’ve seen so far, the game looks fantastic. Do you have any plans for a specific framerate for the final version? Omar: The game will run at 60 FPS (compare to the Master System version which was only running at 30). So all the physics and controls are smoother. SEGA Nerds: Lastly, what would you like to say to fans of the series and why should they be excited for Wonder Boy: The Dragon’s Trap? Ben: We hope it’ll show that we are all big fans of the original game and we want to do it justice. We are making something that is special to us, carefully handcrafted frame by frame animation, handpainted backgrounds and a technology that is fairly unique and faithful to the game. Some ideas infused for 25 years and finally we can get them out to offer a better game for both old and new audiences to play. 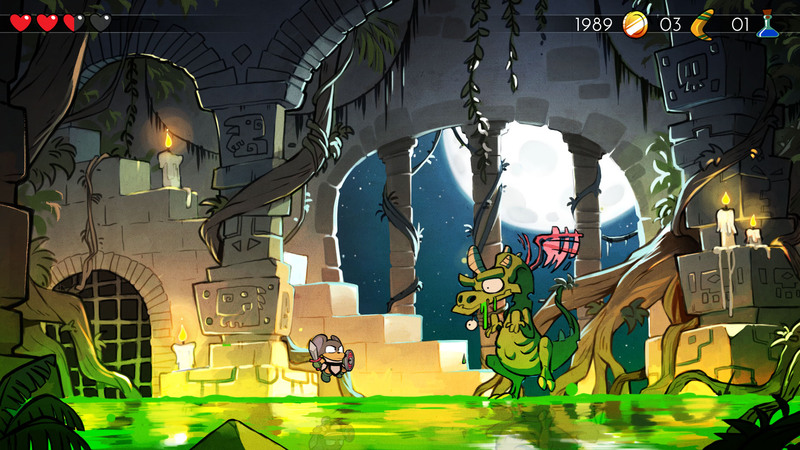 Wonder Boy: The Dragon’s Trap is slated for a 2017 release on PC and consoles. Keep following the coverage at SEGA Nerds for the latest information about this exciting title!